They'll be blatting around a racetrack, but don't expect it to be a noisy affair. 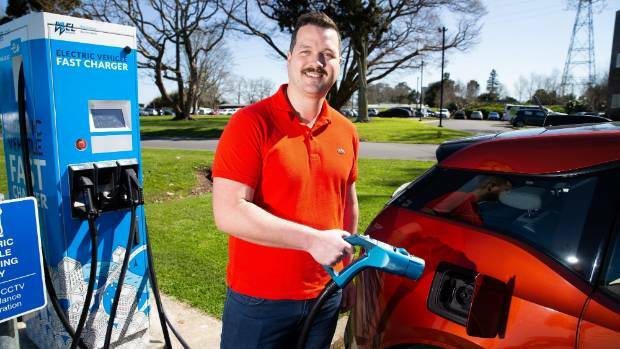 Waikato duo Colin McCrae and Justin Boyd are among the electric car enthusiasts who, in association with the Electric Vehicles Association, have organised an event at the track off State Highway 1 in North Waikato next month. "It will be an opportunity for owners to use the Hampton Downs track in a safe and controlled manner," McCrae said. It's believed that there is about 8700 registered electric vehicles in New Zealand. 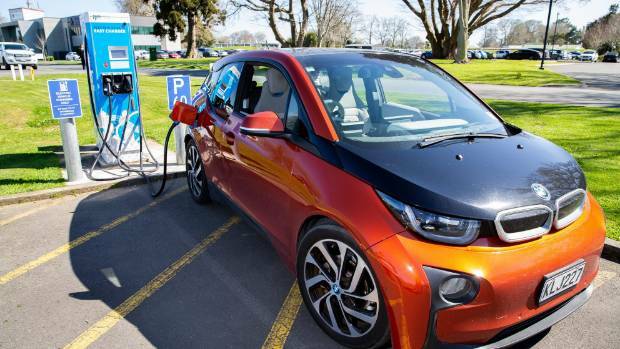 It's thought there are about 8700 electric vehicles registered in New Zealand. The October 7 event will be an opportunity for people to find out what they need to know about EVs from owners, rather than getting a sales pitch. Boyd and McCrea have both converted to electric cars. Justin Boyd plugs his electric car in. The switch for Boyd came when he required a more economical vehicle than his diesel Toyota Corolla for his daily commute between Taupō and Hamilton. Initially he bought a hybrid, but since moving to Hamilton, he's opted to go completely electric with a BMW i3. McCrae's work commute is a 52km round trip between Huntly to Hampton Downs. His Ford Telstar was costing him around $5500 a year in petrol. The Nissan Leaf costs him about $3 a day for the same trip. "It can increase a little bit, as it fluctuates, depending on the price of power at the time. But generally three to four dollars a day going to work and back in winter. In summer, I will just plug it into the solar and it will charge off the excess," McCrae said. The event is one of two electric car gatherings coming up, with the EVolocity Electric Wheels Festival taking place at the Kartsport Track, opposite Hamilton airport, on Saturday, September 29. That event will see 21 schools compete in the electric vehicle secondary schools competition and give people a check out commercially available models.